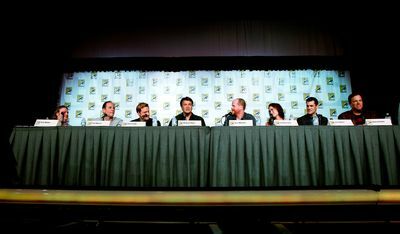 After months of intense buzz and two blockbuster panels at both San Diego and New York Comic-Con, it’s finally time for the main event – FIREFLY: BROWNCOATS UNITE on November 11 at 10 PM (ET/PT), Science Channel reunites Joss Whedon, Nathan Fillion and the entire renegade crew of the Serenity for the first time ever to provide the complete oral history on the franchise that continues to explode in popularity - despite meeting its end a decade ago. The 60-minute special includes secrets from the set,exclusive cast interviews, and footage from this year’s colossal Comic-Con panel that dominated the pop culture conversation. 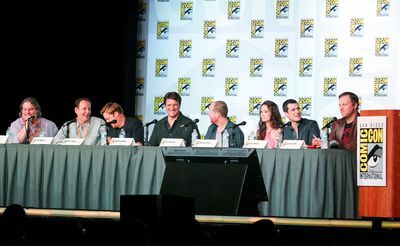 Joining Whedon and Fillion for FIREFLY: BROWNCOATS UNITE are Serenity crewmembers Sean Maher, Summer Glau, Adam Baldwin, Morena Baccarin, Alan Tudyk, Gina Torres and Jewel Staite; along with executive producer Tim Minear and executive story editor Jose Molina. 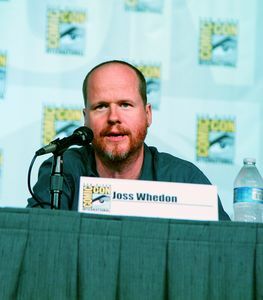 This summer, FIREFLY creator Joss Whedon triumphantly exclaimed to a crowd of thousandsat San Diego Comic-Con that “the story is alive.” Legions of fans across the world couldn’t agree more, proving that a series which is comprised of only 14 episodes had endured the test of time. Guided by Entertainment Weekly senior writer Jeff Jensen, Science Channel re-created theset of the Serenity for this epic gathering capturing the insights and memories of space’s most-rebellious flight crew - including the moment they realized they were canceled and wherethey believe the FIREFLY universe could live next. Science Channel’s FIREFLY Sunday extravaganza begins at 7AM ET/PT with an all-day marathon of the series. 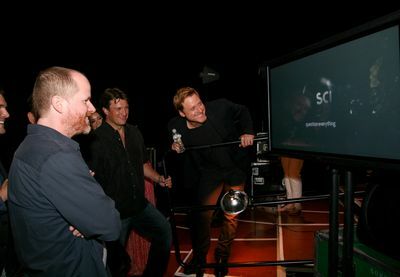 Then, at 10PM ET/PT, the event Browncoats everywhere have beenwaiting for - FIREFLY: BROWNCOATS UNITE premieres on Science Channel. 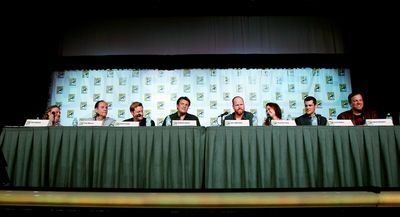 FIREFLY: BROWNCOATS UNITE is produced by Science Channel. Debbie Myers isgeneral manager and executive vice president of Science Channel. Bernadette McDaid is vicepresident of production and Kaitlin McIntyre is producer for Science Channel.